Ιδανικό για χαλάρωση και διασκέδαση, το White Villas Resort βρίσκεται στην περιοχή Σαν Χουάν της πόλης Νησί Σικιτζορ. Από εδώ, οι επισκέπτες μπορούν να έχουν άμεση πρόσβαση σε όλα όσα η πόλη έχει να προσφέρει. Από τη βολική της τοποθεσία, η ιδιοκτησία προσφέρει εύκολη πρόσβαση σε κορυφαίους προορισμούς της πόλης. Επωφεληθείτε από ένα πλήθος ασυναγώνιστων υπηρεσιών και ανέσεων σε αυτό το ξενοδοχείο της Νησί Σικιτζορ. Μια επιλογή από εξαιρετικές ανέσεις όπως τα δωρεάν WiFi σε όλα τα δωμάτια, 24ωρη φύλαξη, ημερήσιος καθαρισμός, υπηρεσία ταξί, υπηρεσία εισιτηρίου σας περιμένουν στο ξενοδοχείο. Τα δωμάτια του ξενοδοχείου έχουν διαμορφωθεί προσεκτικά ώστε να παρέχουν υψηλό επίπεδο άνεσης και την ευκολίας. Σε κάποια από τα δωμάτια, οι επισκέπτες μπορούν να βρουν επίπεδη τηλεόραση, κρεμάστρα ρούχων, λευκά είδη, θυρίδα, καθρέφτης. Είτε είσαστε λάτρης της γυμναστικής είτε ψάχνετε έναν τρόπο να ηρεμήσετε μετά από μια δύσκολη μέρα, θα σας ψυχαγωγήσουν καταπληκτικές δραστηριότητες όπως οι κανό, μονοπάτια για πεζοπορία, σνόρκελινγκ, εξωτερική πισίνα, καταδύσεις. Το White Villas Resort είναι μια έξυπνη επιλογή για τους ταξιδιώτες στη Νησί Σικιτζορ προσφέροντας κάθε φορά μια ήρεμη και ήσυχη διαμονή. The staff were very helpful whenever we had questions or just needed extra help with something. We stayed four nights in this resort. The day we went to our room, I noticed that for a resort, they didn't provide wash cloths. But when I asked for one for that day, they started leaving two wash cloths each day they had to freshen up our room. I really appreciated that as I didn't even have to ask them again for it. That means that they value the needs of their guests. Wifi was sometimes working but slow, and there was a time when it was non existent. But since we were on vacation for adventure and some relaxation, we didn't really mind. The beach was probably almost had a mile long white-sand beach which was not overcrowded at all and had beautiful sunsets. The most complain we had were the ever so slow water pressure in the shower, the water heater was not very consistent.. either it got too hot or cold, and the tight space in the lavatory area. The price is higher than comparable resort. The location and the beach is nice, especially for the sunset, but the water is too shallow for swimming. The pool is a bit small and there is not enough sunchairs. In such small resort you can expect quiet vacations if no noisy children are hanging around. The staffs (Shola, Jeiler, Sofia,..) are kind and helpful. Don't miss the happy hour for the cocktails on the beach. We recommend this resort if you are looking for something small and more intimate . This resort definitely added to our amazing experience on Siquijor island. The staff were so friendly on arrival, and made us feel welcome. The massage service on the resort was affordable and really great! We rented a scooter for a day at such good value, and explored the entire island on it. The hotel was also close to nice restaurants and bars within walking distance. I'd highly recommend this resort! This place is a slice of tranquil paradise. Beautiful white sand beach (quite shallow for swimming though), pool, hammacks and beachfront restaurant. The bungalows and clean and cute. I loved how it was just so quite and calm here, just what I needed. Breakfast is nice and free pick up service from port too. Personal friendly. Negative thing was that the laundry took a long time to finish. Even when they can use the dryer. Food in the restaurant was ok but no atmosphere. For such a hotel we expected that it was possible to pay with visa, but it’s not so bring cash. good things - Staff are friendly. Room is spacious. Food is good and reasonably-priced. so peaceful and sunset view is amazing. bad thing - internet is weak and unstable.not great for digital nomads. This was the best hotel I’ve stayed at so far. The atmosphere and the staff was amazing. It looks way much better in real life than in the pictures. Great swimming pool, nice restaurant and really good food, big and clean rooms. The hotel was just on the beach, and every night they arranged happy hour on the beach by the sunset. They helped us with everything. Thanks to these wonderful people who work at white. I will definitely come back! We stayed in the family villa which was spacious. The staff were friendly and attentive to our needs and made our entire family feel very relaxed and welcomed. The pool was a little small but big enough to keep a 4 and 6 years old very entertained. The food is great, we found to be a lot nicer than most part of the island. They are a short distance to Monkey Business which had live music. Will definitely stay here again. 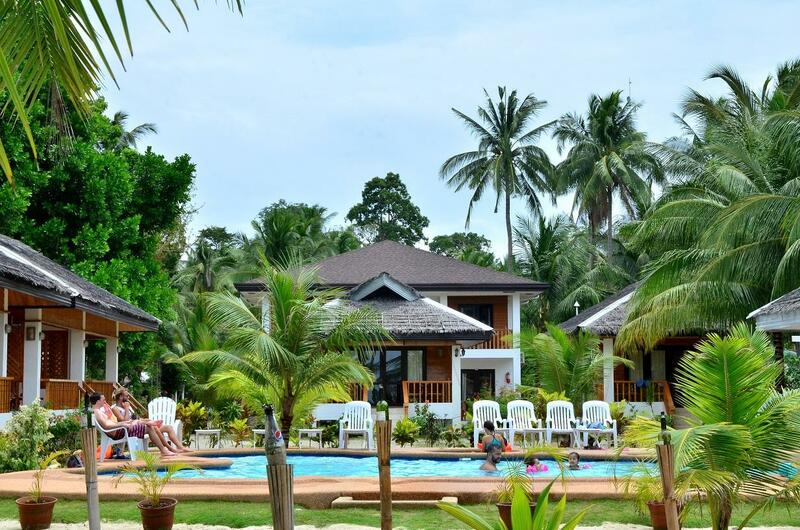 This resort was perfectly placed between the snorkelling sanctuaries of Tubod and Caticugan. The resort organised a trike to take us to both. Located on the beach the sunsets were magic as was being able to watch local fishermen at work. The restaurant also overlooked the sea. The staff were great Jailer and Nancy were two who excelled. Would revisit. Pros: Staff-the resort staff are excellent! Always smiling making you feel your at home and making sure you’re comfortable. 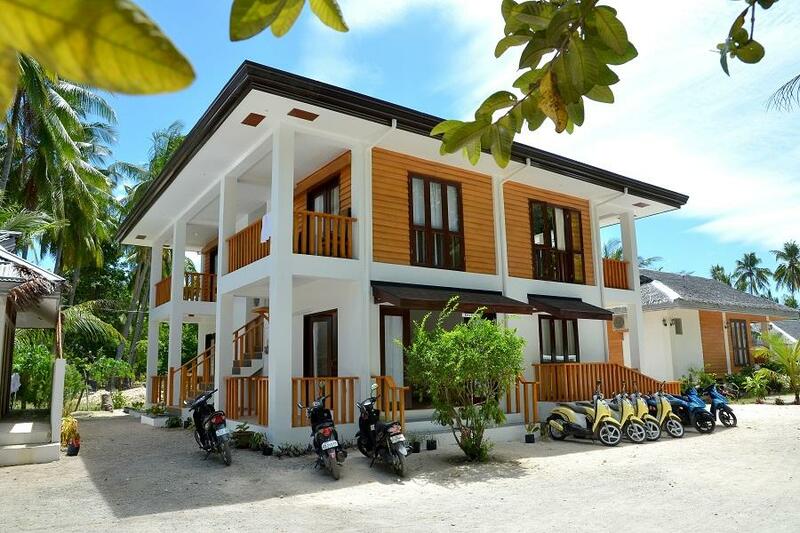 Every whim is answered asap without delays Location: Resort is located near bars, restaurant, food shops. Cleanliness: the resort is impecably clean, the rooms are cleaned everyday, towels are clean, sheets are pressed clean, and smells good. Amenities: beach is not that great due to rainy season, but pool is nice, cool and cleaned everynight. I will definitely be back. Super Lage, super Service, gutes Restaurant & schöne Zimmer ! White Villas may be the best located accommodation on Siquijor Island, - it is situated on the long, scenic San Juan beach: - we had convenient 20-minute tricycle journey from Siquijor Port and 30-minutes to Lareno Port - two excellent restaurants are within easy walking distance - atmospheric Monkey Business and Dagsa Service was friendly Breakfast is a limited selection of food, but great place to sit and enjoy view of ocean Enjoyed hammocks along beach Bungalow is room is modest. Clean enough, decent mattress, quiet enough at night. No refrigerator, kettle Was almost impossible to swim in ocean during August visit due to sea grass, but did enjoy swim in the pleasant, small resort pool. Enjoyed renting motorcycle from hotel -- Siquijor roads are quiet and smooth Happy I chose White Villas - not incredible value, but seemed worth paying a bit more than many neighboring backpacker accommodations. Except for the beach which was not swimmable at the time of our stay due to a Tropical Depression thereby making the shoreline filled with weeds, this place provided a very relaxing getaway. The staff was friendly and accommodating. They were knowledgeable about the island and places to go to. We arrived from damaguete around 7 pm at siquijor port. It was dark already and the only white people on the ferry. White villas had a little van waiting for us with my name on a sign. Good thing too because I didn’t see any other public transportation anywhere. All staff were great there especially Quennie. Very nice breakfast each morning on the beach. We rented a scooter for 2 days and drove all around the island. They even arranged for our transportation to Lorena port for our next ferry to Tagbilaran. We got to Larena port and got a phone call from white villas that we had left our shorts there. We said that’s ok they could have them. But they informed us we left $2500 pesos inside. They sent us our Monet using Palawan money service. How outstanding and honest they were. This is a clean and comfortable resort in a good location. Staff are friendly, helpful and pleasant. The location is quiet and accessible. The restaurant serves good food. There are a few places close by for meals. The staff are always with a smile and will extend help in any way they can. Felt close to home. I hope we could have stayed longer. The only improvement I can think of is the shower (weak water flowing) but everything else is amazing. Definitely coming back!